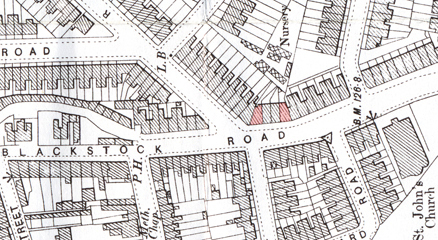 The two maps above show the location of Lambert's two shops at 239 and 245 Blackstock Road.This section of Blackstock Road was renamed Highbury Park and the shops were renumbered 106 and 112 respectively. 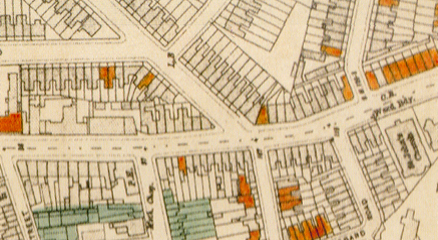 The right hand 1946 map shows bomb damage from WW2. 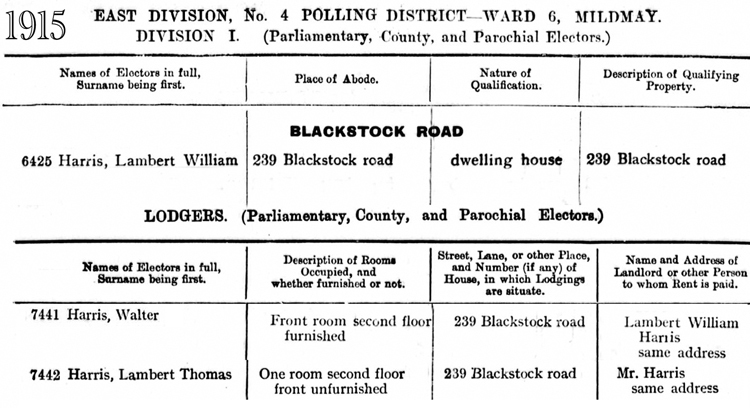 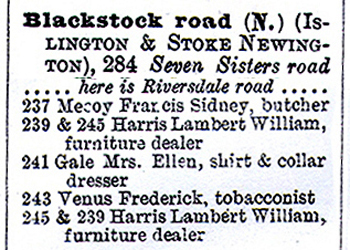 The directory (left) shows the shops in Blackstock Road from the Junction with Riversdale Road and includes Lambert's two shops. 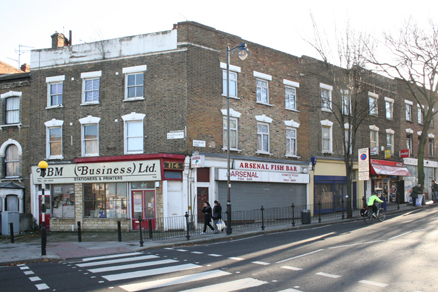 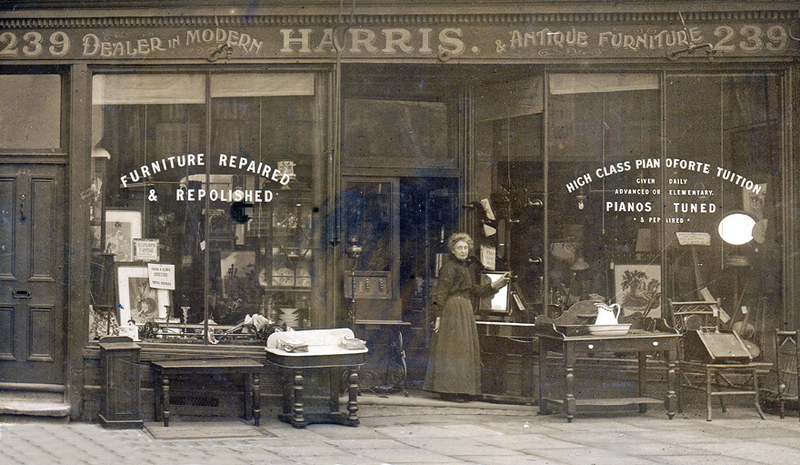 The photos below show the shops present day. 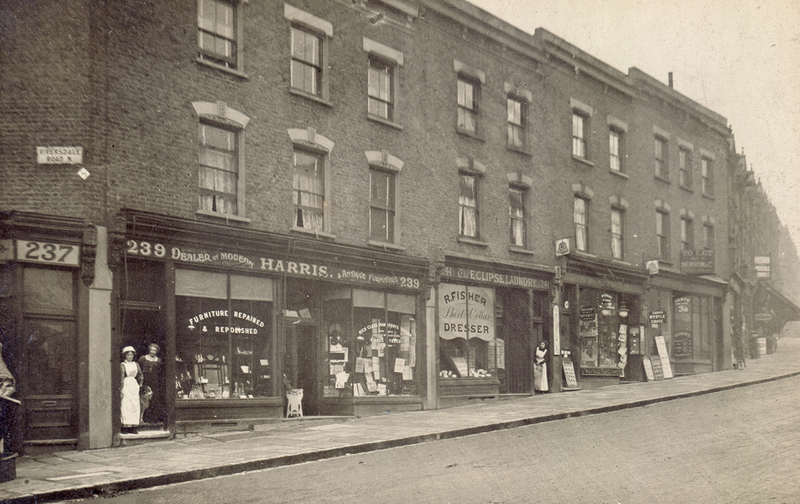 Note the brickwork above 106 (now Arsenal Fish Bar) which shows post war repair. 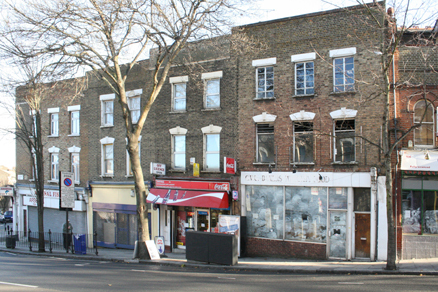 Pictured right is 112 Highbury Park which was empty when photographed.